There is no doubt that it has been a frightful start to 2017 for Turkey. 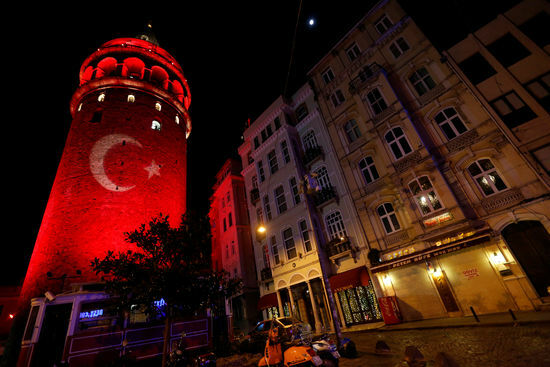 Last week, as the rest of the world celebrated the start of a New Year, the people of Turkey were glued to their television sets as 39 more innocent lives were taken by an IS gunman at the Reina nightclub on the shores of Istanbul’s Bosphorus river. Just days later, Izmir, a popular holiday destination on the west coast, was hit by a car bomb. The year preceding the recent tragic events that have scarred a hopeful new beginning for Turkey was equally as catastrophic, with 22 incidents of terror reported across the country in 2016 and a violent failed coup that made international headlines. 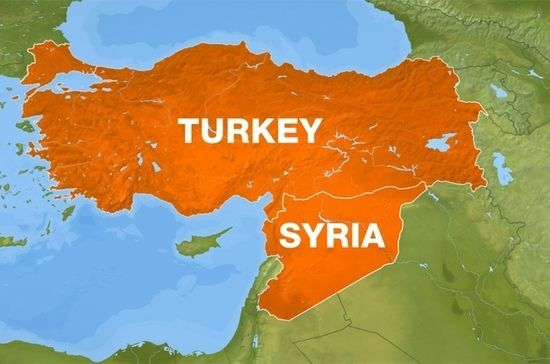 Just as Turkey was hoping that their economy and tourism industry would fight back against its losses in the last 12 months, the world has watched on in horror and with empathy as Turkey has taken the brunt of broken geopolitics yet again, thanks to its close physical and political proximity to Syria and the so-called Islamic State. But Turkey is a country of patriots who never give up. Every time they are knocked down, they get straight back up again and fight back by living their lives and being proud of their roots. While Turkey may face many challenges in 2017, it is also a country that has a great deal to be proud of, to enjoy and to share with the rest of the world. We should never be complacent when these horrific events happen, but unfortunately we need to be alert to terror no matter where we are in the world today. It is heartbreaking that the Turkish people are suffering the most at the hands of terrorists and politics. The only way for us to do our part to help is not to be scared of enjoying what is still a beautiful country with so much to offer. The continued reports of terror attacks has resulted in a massive decline in tourism over the past twelve months. 2016 saw a decrease of 40% in foreign visitors against 2015’s figures and a loss of nearly 1.5 billion dollars. Only 766,871 Russians travelled to Turkey in 2016 compared to three and a half million in 2015 after Putin’s temporary ban on travel from Russia to Turkey. As a result, businesses, tour agencies and hotels have been closing their doors all over Turkey and one of the major challenges that the country faces this year is boosting this essential part of the economy. People need to feel that they are as safe as they can be when they travel abroad and that the officials of that country value their safety. Many Europeans do not understand or appreciate the complexities of Turkey’s role in Syria and other regional conflicts, let alone its dealings with the so-called Islamic State. Somehow, Turkey needs to show that it understands the concerns of other countries and that it shares the goals of peace and prosperity in the region and with Europe. However, while it cannot go unmentioned that Turkey has seen an unprecedented number of terror attacks in comparison with European countries in the past year, it is not the only country to be affected. Germany has seen four incidents, France has experienced two major attacks including the horrific scenes in Nice in July 2016, Brussels Airport and Maalbeek metro station were bombed in March 2016 and the US has had its fair share of hits too. The harsh truth is that terror follows us everywhere; today we live in a world that is tainted by the minority. As has been said so many times before, it could happen anywhere, but the probability of you being involved is miniscule. Currently, 50 countries share a “high threat of terror”, including Australia, Germany, France and the UK as well as Turkey. So long as we each remain vigilant, we should be living our lives as normal in a fight against terrorism, not only for our own countries, but for Turkey too. All major newspapers in the UK are reporting that it is generally safe to travel to Turkey, though travellers should exercise vigilance and caution in busy areas and follow the advice of security authorities if necessary. The UK foreign travel advice website is currently only advising British nationals to avoid travelling within 50km of the Syrian border. 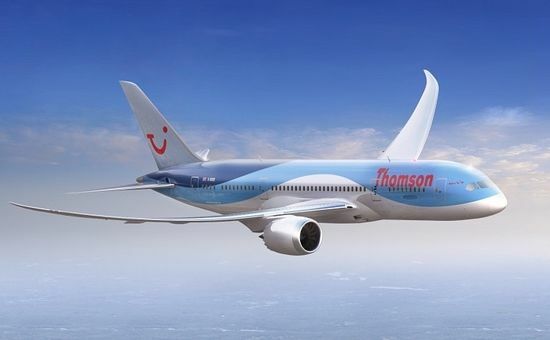 The Turkish government is extending fuel support for charter flights to Turkey in 2017, to encourage airlines to bring passengers from Europe into the country. Turkish Culture and Tourism Minister, Nabi Avcı, announced that the subsidy scheme would be expanding in scope, quality and quantity this year. Friedrich Joussen, CEO of German tourism company TUI, has said that Turkey is stable in terms of security. He told major news corporations that TUI had hosted more than 1 million tourists in Turkey during 2016 despite the problems, and that “we need to be very active in changing (the world’s) perception (of Turkey) for the better”. On Trip Advisor, the historic city of Istanbul remains in the 2nd best city in the world after London, despite the new year atrocities. Iztuzu Beach, Dalyan is also in the top 10 European beaches. Cleopatra Beach of Alanya is in the top 20. On the 5th of January 2017, ‘A Place in the Sun’ magazine published an article stating that Turkey was still on their ‘Top 10 Best Places to Buy Abroad 2017’ list. The article states that August 2016 saw a 41% hike in house sales across Turkey compared to July and that sales to foreign buyers increased by 44%. Fethiye, on the Mediterranean coast, remains the most popular second home destination for European buyers next to Antalya and properties in Istanbul have seen record sales to investors from the Middle East. Turkey is investing in itself as the government continues plans to complete infrastructure projects, particularly in Istanbul, to attract businesses and tourists. The Prime Minister, Binali Yıldırım, made a heart felt speech for the New Year, announcing that work on the Sultan Selim Bridge and the Eurasia Tunnel under the Bosphorus river would progress. He also promised successes in democracy, human rights and development, “to mould Turkey into a centre of stability and power” with the main intention of eliminating terrorism. The new Istanbul airport is half completed and is on track to open in February 2018. The new airport will be a major global flight hub and the world’s largest airport when it is completed. 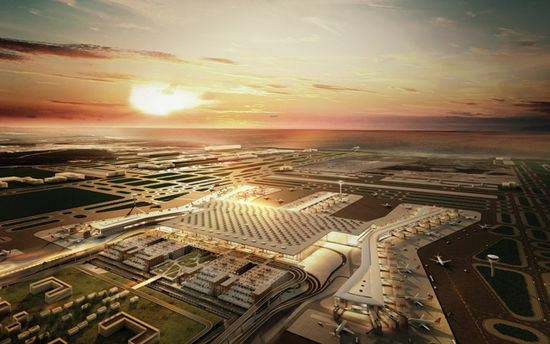 It will host over 90 million passengers a year, bringing a new era of tourism to Turkey. Turkey may have had a heartbreaking start to 2017, but it is a new year that will bring much joy to locals and visitors from all over the world. No matter what time of year you plan to visit Turkey, or which part of this great country you choose to see, there will be a celebration of sorts happening nearby. Some of the events planned to take place across Turkey in 2017 are fantastic reasons to make your way over to soak up some Middle-Eastern sunshine and enjoy a hospitable world of incredible culture and history. If there was only one thing that could bring people from all over the world together harmoniously, it would be music; a language that everyone can understand. For those who enjoy classical music, there is nowhere better to experience these harmonious sounds than in some of the most historic settings in Turkey. The International Istanbul Baroque Music Festival performs at the stunningly beautiful Dolmabahçe Palace as well as other venues across Istanbul from the 1st April 2017, introducing audiences to operas, cantatas, sonatas and stabat maters. The Aspendos International Opera and Ballet Festival runs between the 1st of June and the 15th of September, performed in the 20,000 capacity original Roman amphitheatre in Antalya. If some feel good jazz is more your ‘cup of çay’, then you are in luck. The SunSplash Festival in Bodrum offers a weekend of top UK DJs and artists lined up to play soul, jazz, funk, bossa, new and old school and club classics by the beach. The festival takes place in June this year. If being a beach bum doesn’t impress you and you are more of a city slicker, try the International Istanbul Jazz Festival in July, which presents a remarkable variety of music, ranging from traditional and contemporary jazz, to rock, electronica and world music. The biggest names in jazz will be performing at parks and venues all over the city. If you feel more inclined, join the masses at Turkey’s biggest open-air music festival, ‘Rock ’n Coke’ which attracts more than 40,000 rock fans. At Herzarfen Airport Istanbul on the 16th and 17th of July, outstanding local and international music stars will take to the stage for you to practice your air guitar to! Another fantastic way to bring people of all nationalities and cultures together is through sport and Turkey has much to offer in this field in 2017. May brings the best of female international tennis stars to the Istanbul Cup as a warm up for the US Open, held on outdoor hard courts. 2016 saw a Turkish champion! In June, Edirne is home to the annual Oil Wrestling Festival which celebrates the world’s oldest sport, full of culture, history and a lot of olive oil. It is a true spectacle of greasy Turkish muscle! 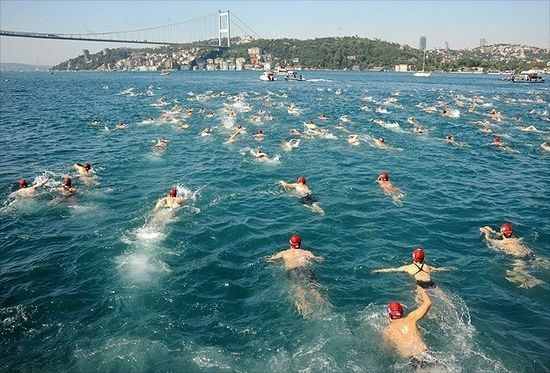 The annual Bosphorus Cross Continental takes place in Istanbul on the 1st of July, presenting ‘Asia to Europe’ competitions in swimming, rowing and sailing. Thousands of Turkish and international athletes aged from 14 to 71 take part under the motto “everyone needs sport”. In Cappadocia, the MTB Festival brings mountain bikers from around the world, alongside the International Mountain bike stage race and festival. For racers and non racers, it is possibly the most beautiful part of the world to get on two wheels! Events take place in Göreme and Ürgüp between the 26th and 28th of June 2017. Turkey is awash with cultural events all year round, there is something for everyone, from food to historical events and traditional dance. Cappadocia in particular, becomes a hub of culture during the summer months. The village of Avanos is particularly famous for its pottery production, much of which can be seen and bought all year round. The village is also home to the wacky hair museum, which is literally a collection of people’s hair! However, at the beginning of September, the village welcomes the International Tourism and Handicrafts Festival which celebrates the production of clay pottery next to Turkey’s longest river. Other interesting festivals that take place in Cappadocia include the Ürgüp Grape Harvest Festival, the centre of wine production in Turkey, in September, and the Göreme Local Food Contest at the end of the month, highlighting organic farming and traditional Cappadocian cooking. On the 25th of April each year, Istanbul welcomes over ten thousand visitors from Australia and New Zealand who want to commemorate Anzac Day, a national day of remembrance for those who fought at Gallipoli against the Ottoman Empire during World War I. Travellers trek over to Gallipoli to visit the battlefields and to attend the Dawn Service on North Beach, the Anzac Commemorative Site. An experience that every traveller to Turkey should embrace is Children’s Day, held annually on the 23rd of April. While the main events take place in Ankara, it doesn’t matter where you are in the country, children will take to the streets to demonstrate traditional dress and dance and to form a world government. The most talented of children from all over the world come together in Ankara to run the country for the day and exchange messages of peace between cultures: a sentiment we could all embrace in today’s climate.